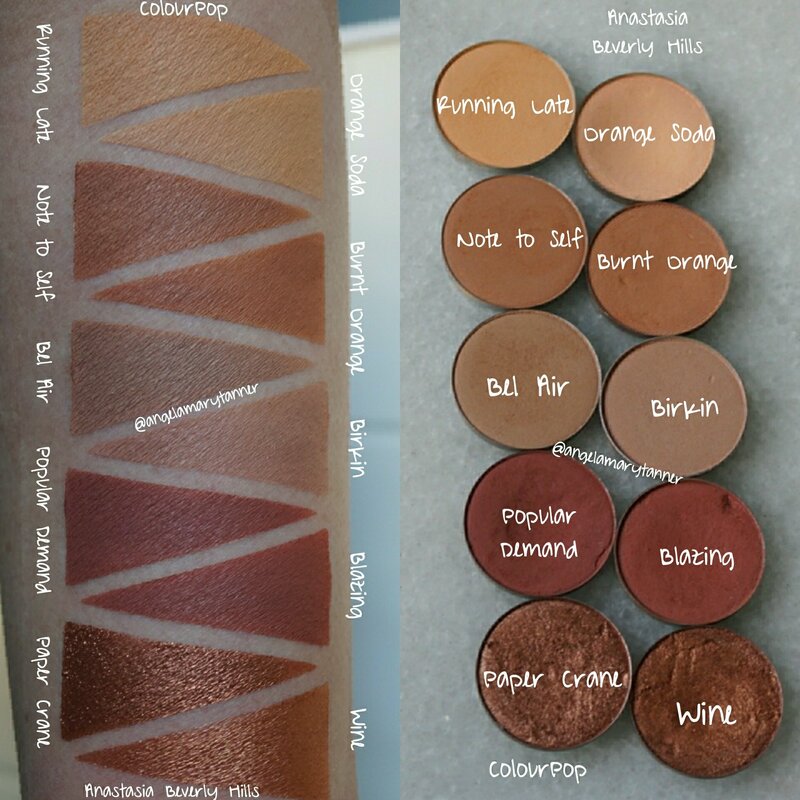 COLOURPOP DUPES FOR ANASTASIA BEVERLY HILLS SINGLE EYESHADOWS?! 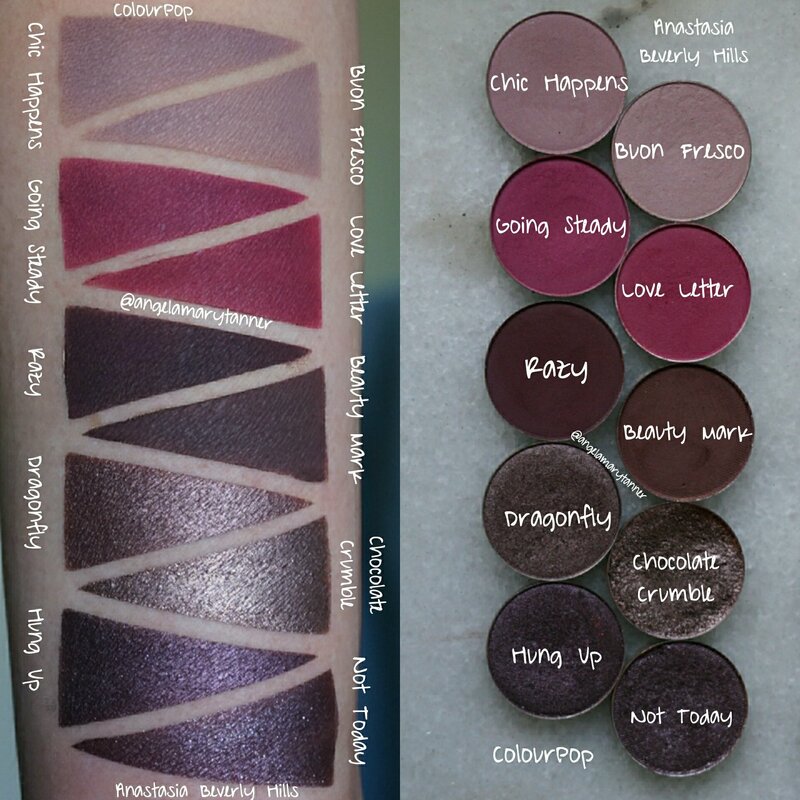 I was doing yet another palette reorganization and I came across some possible ABH/CP dupes! A few of them are a little off but for the most part I think that they’re pretty close! 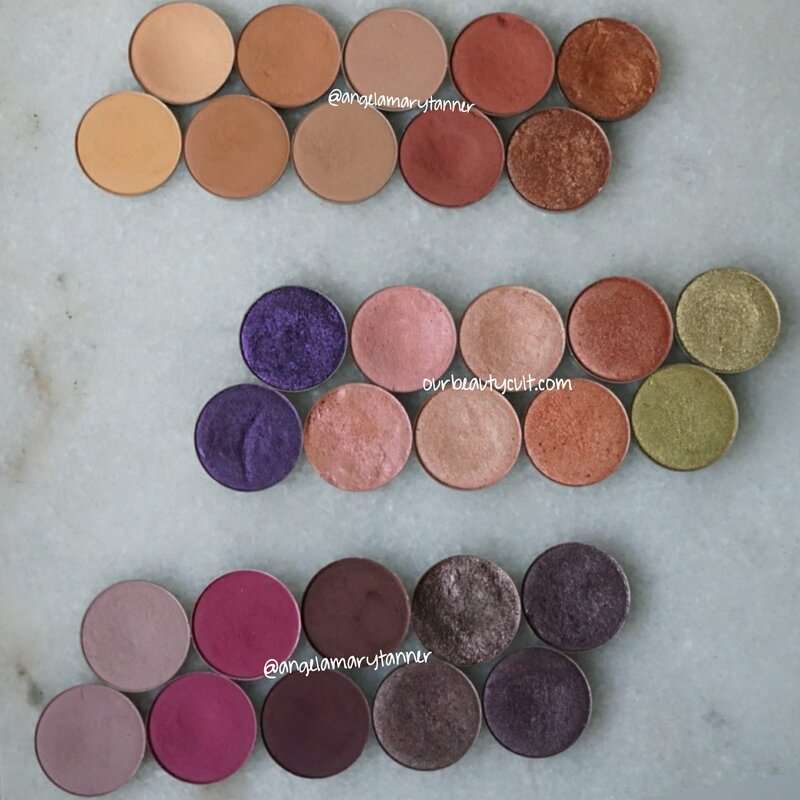 I love ABH shadows but they’re $12 a pop and ColourPop shadows are only $4. Out of these first five pairs, I’d consider three to be dupes. Last set! These last five pairs aren’t really ‘dupes’ but they might be close enough if you’re looking to save a few bucks! Hopefully this was helpful even though a lot of them didn’t turn out to be exact dupes. If you’re not too picky, I think most of the ColourPop shadows would be decent alternatives for their counterparts from Anastasia Beverly Hills. I do think that for the most part the ABH shadows are higher quality. 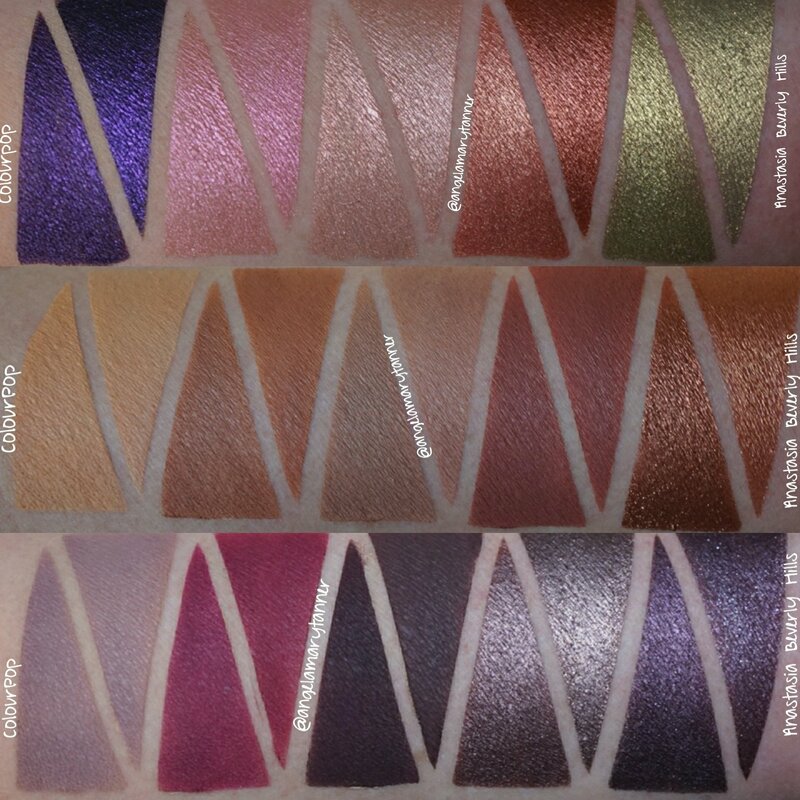 However I’m extremely impressed with ColourPop’s powder shadows. 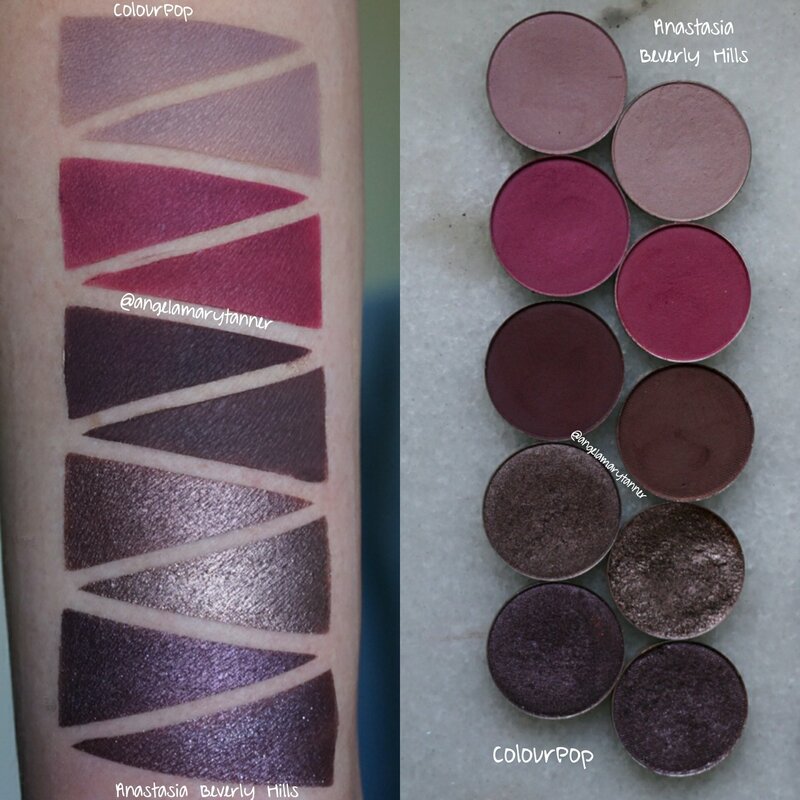 If I were choosing between the two to repurchase, I’d go with ColourPop. I love all of your dupe posts. 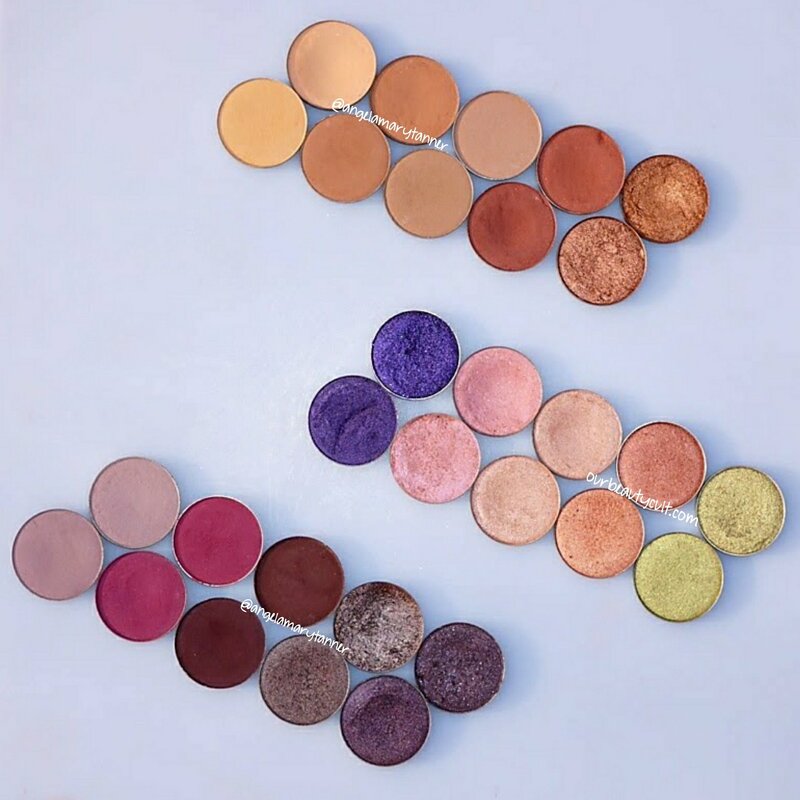 They are so helpful, especially for someone like me who will buy the same exact shades over and over not realizing I have 2 shadows that look just the same already. I need all the help I can get lol. 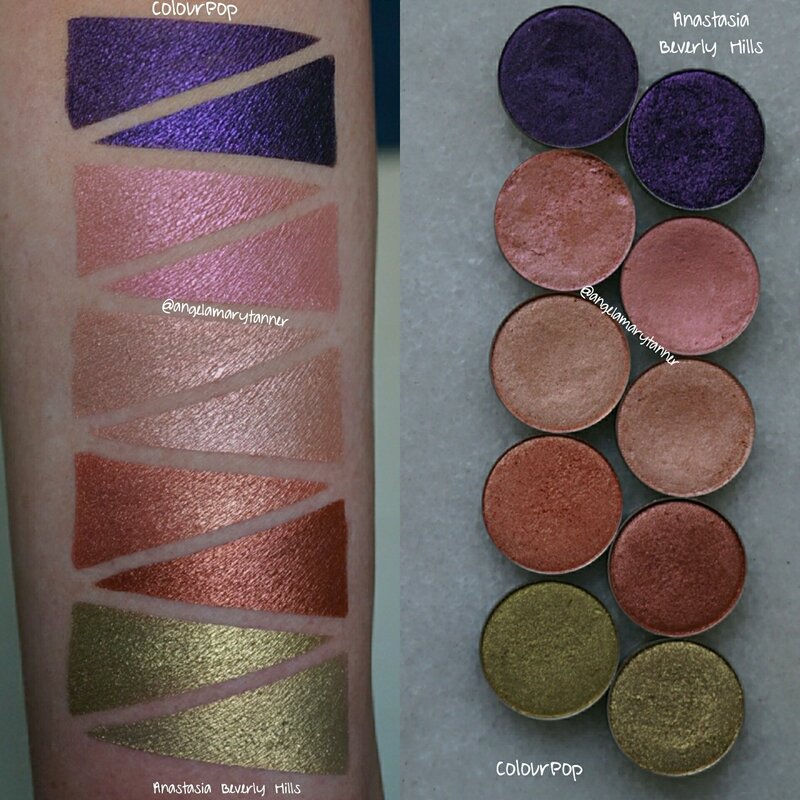 One more thing, I agree colourpop has really suprised me with their shadows, the ones I have, have been really impressive.